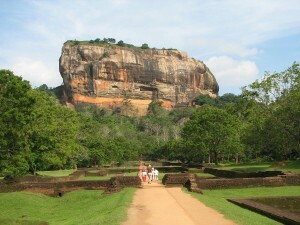 The Sigiriya Rock Fort is an old palace ruin, considered to be one of the Wonders of the Ancient World. It is located in the central Matale District, near the town of Dambulla in the Central Province, Sri Lanka. A popular tourist destination, it falls under the Cultural Triangle region of Sri Lanka which houses most of its World Heritage Sites. 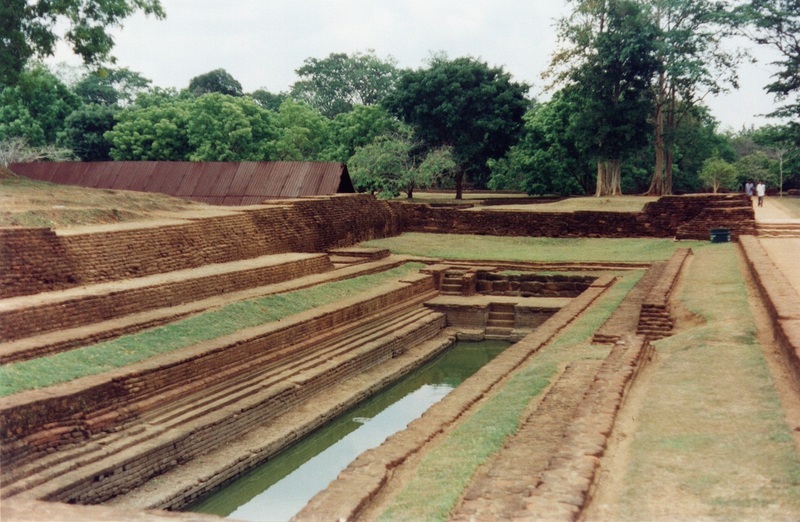 Ancient Sri Lankan chronicles suggest that it was selected by the parricidal King Kashyapa (477 – 495AD) as his new capital. Archaeological research has revealed that the Sigiriya site contains the ruins of a citadel atop a flat rock. The entire complex consists of a central rock which arises abruptly 200 meters above the surrounding plain with just two rectangular precincts on the east and west each. The moats and walls surrounding the lower palace are exquisitely beautiful and at the same time were used strategically to provide extra protection to the citadel. 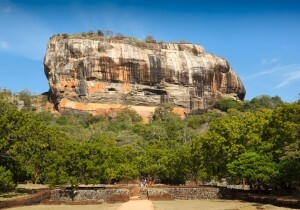 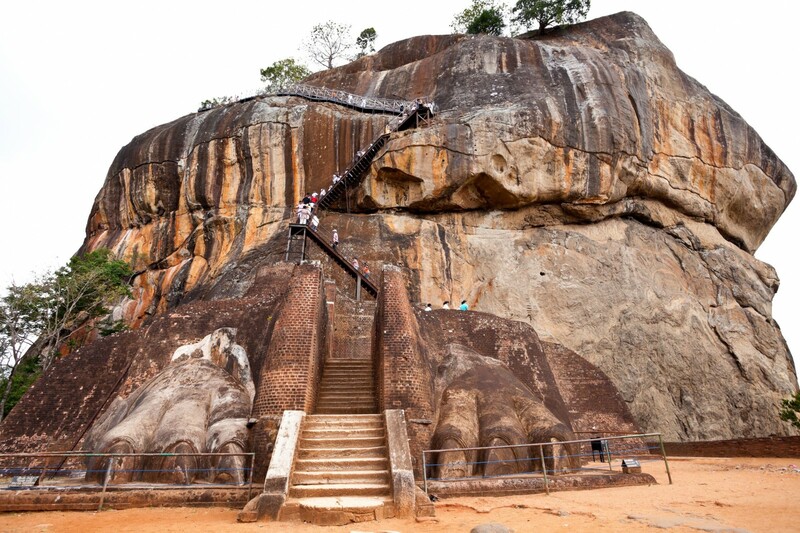 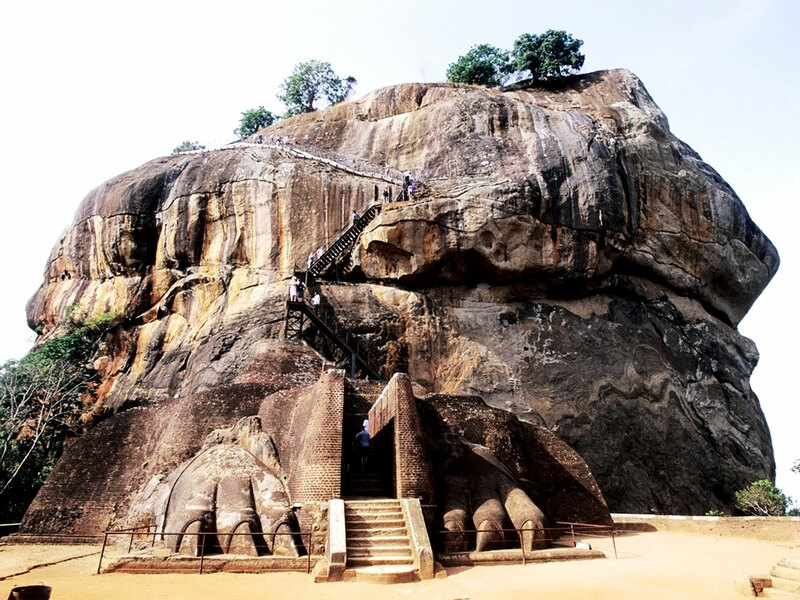 Climbing up the Sigiriya Rock is a challenging task and can take almost up to 90 minutes. 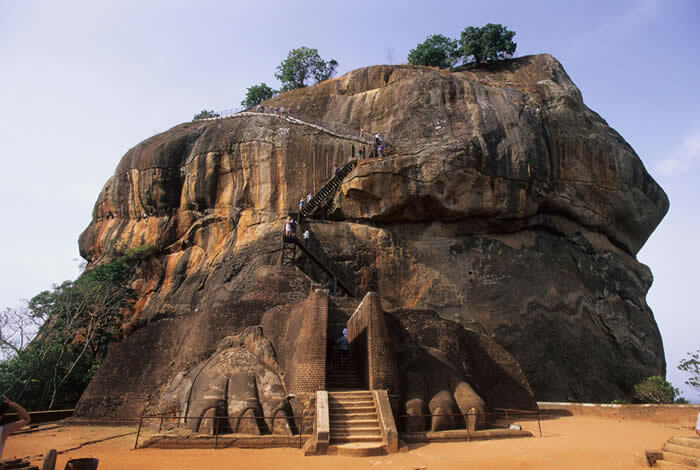 The first stage is generally considered to be the easiest to climb as it begins from the base of the rock, upwards to the landscaped gardens. The second stage progresses to wide steps which lead to the Mirror Wall. 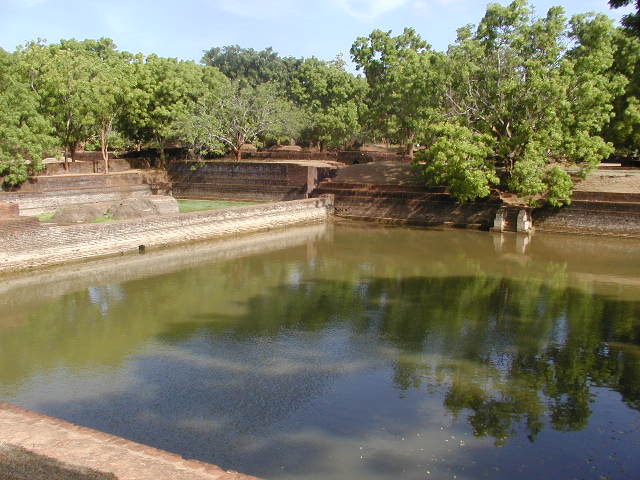 Made of brick and covered in white plaster, it is believed that the wall was so highly polished that the King could see his own reflection when he walked alongside it. Further across the wide steps is another staircase that leads to the famous Sigiriyan frescoes. 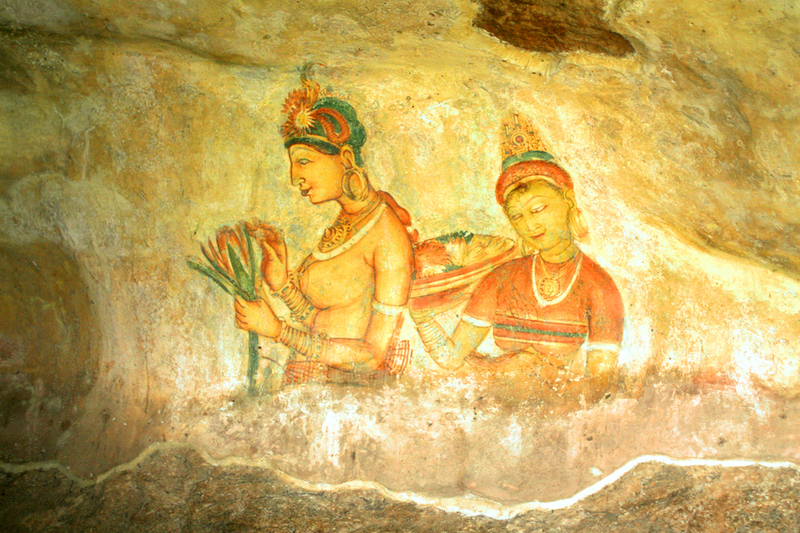 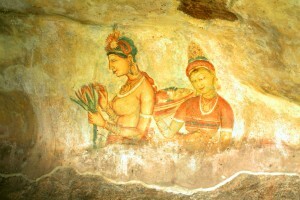 Despite having their own unique style the frescoes bear a close resemblance to the paintings found in the Ajanta caves in India. 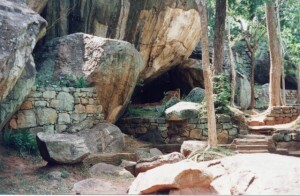 Progressing on to the mid level, the terrace platform houses the entrance to the Lion Gate. 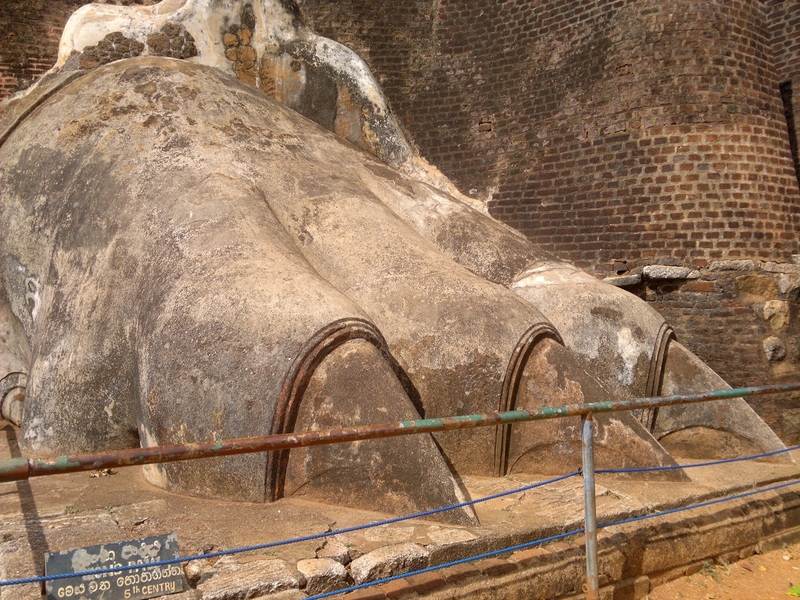 One can still see the legs and paws of the lion flanking the gate though the head of the lion collapsed several years ago. 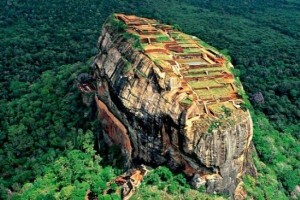 The third and final stage is the most difficult to climb with the steep slopes leading to the flat top of the rock. 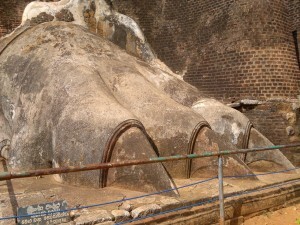 At the top, there are cisterns cut into the rock that are still capable of holding and retaining water. 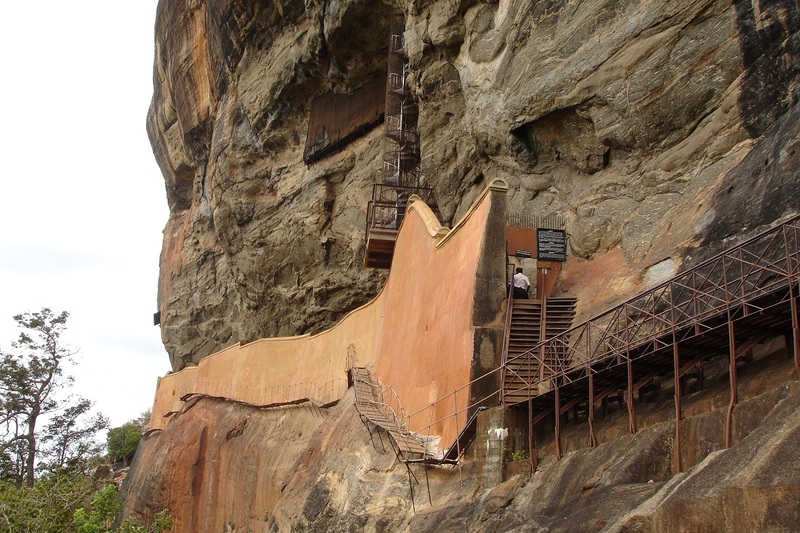 The view of the landscaped gardens and the beautiful countryside seems to compensate for the rather difficult climb over the rock fortress.